BBC Asian Network - Panjabi Hit Squad, Music, Entertainment and Saturday night vibes! Music, Entertainment and Saturday night vibes! Three hours of the biggest street anthems, urban desi and bhangra with Dee and Rav, plus the latest celebrity gossip and entertainment. 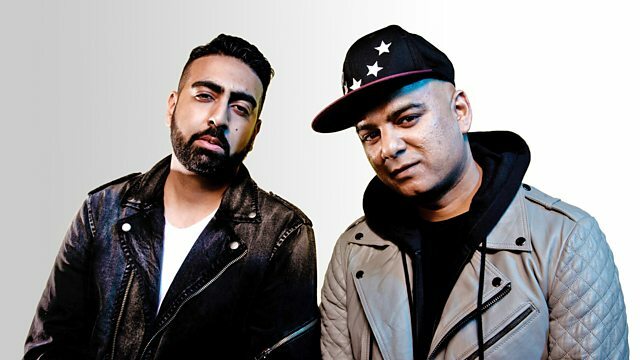 Tune in for 3 hours of the biggest Street Anthems, Urban Desi, Bhangra and chat with Dee and Rav as they prepare you for a MASSIVE Saturday evening! As well as the latest celebrity gossip and entertainment. And get ready for THE HIT SQUAD HOUSE PARTY MIX, The only mix dedicated to you! Get on the VIP Guest list - it's time for the BIGGEST Saturday night warm up mix and YOU can have this dedicated to YOU and YOUR FRIENDS! 4 Play Records / Mentor Beats.